Willie Mae Williams has been battling and fighting for her life since the day she was born. Her bladder never developed at birth, which eventually caused her kidneys to malfunction and essentially fail. She has attended countless medical appointments and has been in and out of the hospital more than most can imagine. Willie Mae is now facing life without kidneys (as that they both have been surgically removed), and is in desperate need of a kidney transplant. Without a new kidney, William Mae will continue to receive dialysis, but eventually her body will shut down. Transplants are lifesaving but very expensive, and Willie Mae desperately needs your help to afford her upcoming transplant surgery. She is now disabled and unable to work due to her medical condition, and her out-of-pocket expenses are quickly adding up. Co-pays and deductibles, medical bills, doctor’s appointments, medications and supplements, health insurance premiums, and caregiver fees continue to accumulate. Once she completes her pre-transplant testing at Largo Medical Center in Florida, Willie Mae will be listed for transplant. She will then face costly post-transplant anti-rejection medications that she’ll need for the rest of her life, once she has her transplant surgery. As a young child Willie Mae had the misfortune to lose both her parents, which landed her in the foster care system. She bounced from home to home until her late teenage years, and the other kids teased her because she wore a prosthetic bag on her side. Needless to say in addition to her medical problems, she had to deal with life on many difficult levels, with no relatives to guide or advise her. Willie Mae eventually received what’s called a Florida Pouch which replaced the external bag, making her adult life a bit more pleasant. Upon adulthood, Willie May went to school at a technical college in Kentucky and learned fashion and merchandising. Prior to becoming disabled, she spent her working career in retail and as a store manager. Despite her disability, Willie Mae is an active member of her church, and volunteers her time for the All Kidney Patients Support Group. Every year, Willie Mae is admitted to the hospital a dozen times per year with hospital stays as long as two weeks. However, somehow she still musters up the strength to carry on. Now completely disabled, dialysis treatments are time consuming and draining, leaving Willie Mae completely exhausted. Living on disability isn’t enough to provide for the cost of her transplant; she keeps fighting, but is asking for your financial help along the way. To help with this financial burden, a fundraising campaign in Willie Mae’s honor has been established with Help Hope Live, a trusted nonprofit organization that has been providing community-based fundraising guidance to patients and their families for more than 30 years. All donations are tax-deductible to the full extent allowed by law, are held by Help Hope Live in the Southeast Kidney Transplant Fund, and are administered by Help Hope Live for transplant-related expenses only. 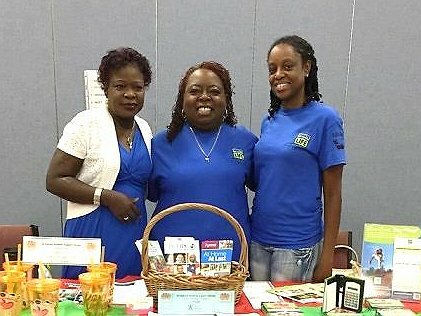 Willie Mae has chosen to fundraise with Help Hope Live in part because Help Hope Live assures fiscal accountability of funds raised and tax deductibility for donors. Donors can be sure that funds donated will be used only to pay or reimburse medically-related expenses. To make a tax-deductible donation to this fundraising campaign, click on the yellow DONATE NOW button. For more information, please contact Help Hope Live at 800.642.8399. Thank you ahead of time for your generosity, prayers and support.